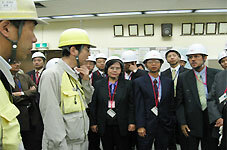 Participants in the 3rd Panel Meeting Technical Tour: TsurugaN.P.P. 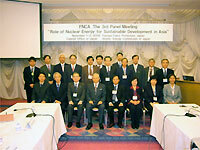 The 3rd FNCA Panel Meeting on "Role of Nuclear Energy for Sustainable Development in Asia" was held in Tsuruga, Fukui on November 1-2, 2006. 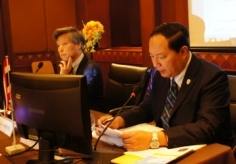 The Meeting was attended by 18 participants from 8 FNCA member countries; China, Indonesia, Japan, Korea, Malaysia, the Philippines, Thailand, and Vietnam. 2) Possible roles of nuclear power in medium/long-term energy planning. The 1st paper: "APEC Energy Demand and Supply Outlook 2006". The 2nd paper: "Nuclear Energy Administration in Fukui Prefecture". The 3rd paper: "University Education for Nuclear Power Plant Location Area". 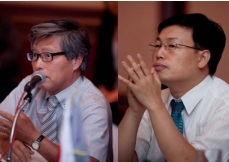 Introduction of nuclear power in Vietnam and Indonesia were presented. 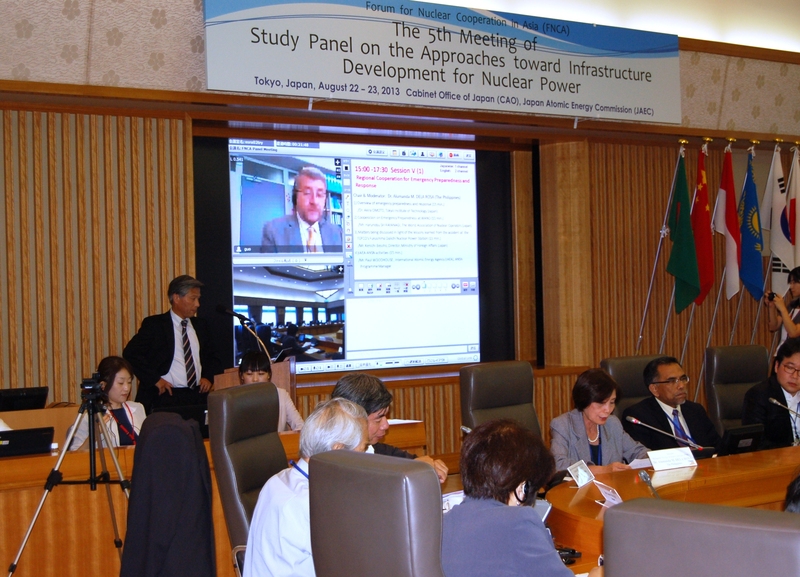 The Draft Report of the Panel on Role of Nuclear Energy for Sustainable Development in Asia for 2004-2006 was discussed. 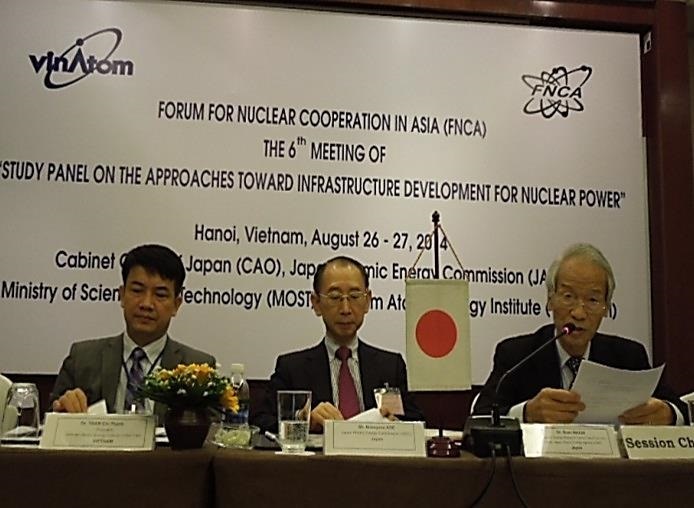 The new "Study Panel for cooperation in the field of nuclear energy in Asia" was proposed for the second phase of activities in the FNCA. 1) Economic analysis and financing scheme. 5) Support systems (ex. NPPs maintenance, Low level waste management). The participants agreed that the introduction of nuclear power requires development of infrastructure such as safety regulation and security system, human resource development, public acceptance, economic analysis and financing scheme,and assurance of non-proliferation. The panel proposed to continue the 2nd phase of activities on the "Study Panel for cooperation in the field on Nuclear Energy in Asia". on "Role of Nuclear Energy for Sustainable Development in Asia"
The Japan Atomic Power Company Co., Ltd.